You don't expect such a small, attractive town to house such a massive prison, but that's the surprise that awaits you in the Cornish town of Bodmin. It's been closed since 1927, but is by no means silent. Although much of it is derelict, its corridors still echo to the clanking of chains and the moans of long dead prisoners, seeking justice for their unjust incarceration...and execution. Bodmin Jail's restoration is a work in progress and no visitor can envy the task. Built originally as a milestone in prison design, circa 1779, the jail started off its life as a prison for debtors, serious felons, and those guilty of less serious crimes. Males and females were strictly segregated and attempts were made to ensure a less harsh approach to incarceration. Running water was provided in courtyards and boilers were on hand for hot water. Ovens were installed to bake clothes (to kill vermin). There was also a chapel and an infirmary for the sick. From the mid nineteenth century, a heating and ventilation system ensured a constant temperature of 15 degrees centigrade was maintained throughout the year in all cells. In addition, prisoners were put to productive work and paid out of the profits from the sales of the products they made. Sadly, this changed to the useless labour of the treadmill from 1824 onwards, until the Prison Act of 1898 saw a reversal of ideas. Useless labour was abolished and productive work was back in. 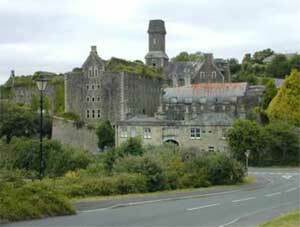 Between its opening and closure 148 years later, Bodmin underwent expansion and transformation. At the end of the Napoleonic Wars, it took hundreds of prisoners, when the population of the prison reached its peak. In 1887, part of it was converted into a Naval prison. But what of the prisoners themselves? Solitary confinement, hard labour, whipping and execution by hanging all took place within the walls of Bodmin Jail and there are some curious cases. The great grandfather of writer, Nevil Shute, author of A Town Like Alice, the apocalyptic On The Beach and many others, was murdered by two brothers called William and James Lightfoot, whose public double hanging attracted a crowd of some 20,000 at noon on 13th April, 1840. They had battered Nevil Norway to death in order to rob him of the gold and silver coins he carried. Theirs was the only double hanging at Bodmin. There are a number of stories of young women driven to desperate acts as a result of finding themselves on their own with an illegitimate child, the father having long run off. But one of the saddest, is the case of Selina Wadge, who had two children. She was at the lower end of the social scale, barely surviving in the workhouse, when she met and fell in love with a former soldier called James Westwood. According to her story, Westwood told her he would marry her but was not prepared to take on both children. The younger one, Harry, would have to be sacrificed. She drowned him by throwing him down a thirteen foot deep well, where he was found lying in three feet of water, with no signs of violence visible on his body. She had been previously regarded as a good mother and many from the workhouse and elsewhere attested to her previous good character, but the jury found her guilty of child murder, with a recommendation for leniency. The judge wasn't prepared to grant it and she was sentenced to death by hanging. By then, the measured drop had been introduced, which led to a swifter, more merciful death. Previously, the notorious 'short drop' had led to prisoners slowly strangling to death, taking up to twenty minutes or more. Poor, desperate Selina was placed on suicide watch. By the day of her execution she was in a state of collapse. But she died 'without a struggle' on 15th August 1878. 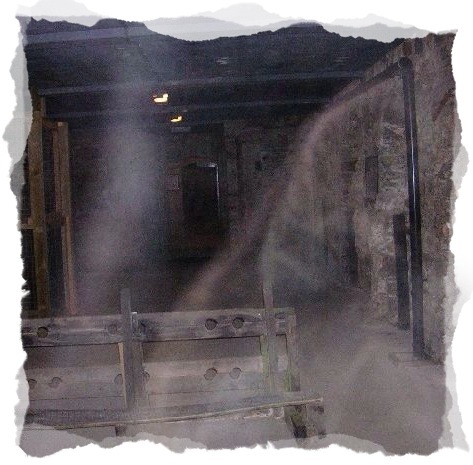 Her ghost is one of many said to haunt the place. 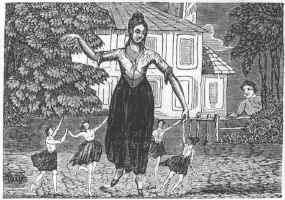 She tries to reach out to small children and has been observed by them as a lady in a long dress who cries all the time. An earlier and more primitive jail existed where Bodmin Jail stands today and it too saw its share of prisoners, some of whom were convicted for witchcraft. Most of these were, of course, women, who were guilty of nothing more than the ability to use herbs wisely to heal all manner of ailments. One such woman was Ann Jefferies, who was born in St Teath in 1626. She unfortunately came to the attention of the Justice of the Peace in Cornwall as a result of her claims that she had travelled to magical lands populated by little people, fairies and the like. She then claimed to have been given the power of clairvoyance and healing. Incarcerated in Bodmin for witchcraft, she was sentenced to three months and was kept without food or water. This was then followed by a further three months incarceration without food and water, in the mayor's house. Amazingly, in both instances, she not only survived, she thrived, even gaining weight, and was released in astonishingly good health. She claimed it was because the fairies had kept her fed and watered. She went on to marry and move to Devon, but she kept very quiet about the fairies and the magical lands she had visited. After all, it wouldn't do to tempt fate twice, would it? Oh you'll love it, Julia! These vids are hysterical. Why have such a terrified presenter, though? Unless it's like that old thing about Dr Who companions whose screams were auditioned. I have never been sure about this. Yvette Fielding and her husband, Karl Beattie (also featured in the shows) own the company that produced all these shows.They always maintain that nothing was rigged, and rumour has it they may be presenting a new series on TV before too long. I just keep an open mind and watch it as pure entertainment - with scary bits. Yvette's screams are legendary. There even used to be a phone ringtone you could download of one of the more bloodcurdling ones! It's not hard to believe phenomena exist in Bodmin. The place has a dark brooding and, in places, oppressive atmosphere that has you glancing quickly over your shoulder and hanging on tightly as you ascend and descend the six floors of spiral staircases. But then, of course, it is a prison, on the site of an even older one. That area has seen much grief and tragedy. Some of it is surely bound to stick. Oh I can imagine that. I get quite edgy at the castle when I'm closing up in the dark. I put it down to me being overimaginative just for sanity's sake, but the place must be well provided with ghosts of annoyed Welshmen. I'm sure it is, Elin and, as we both know, there is little worse than an annoyed Welshman - even a mildly irritated one can be quite a fearsome dragon! A most enlightening post Cat, in every regard. loved the Ann Jefferies bit. .